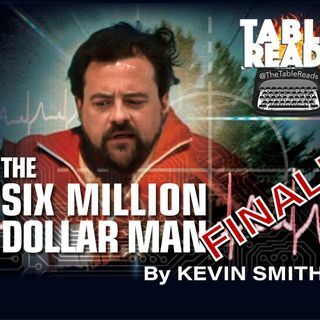 The stunning FINALE of Kevin Smith's Six Million Dollar Man! The final confrontation between Klatch and our hero, Steve Austin... and the fate of the world hangs in the balance! Or so we're led to believe. In reality, a script that is MUCH longer than it needs to be, still somehow ends up feeling like the ending was rushed to get it in under a 4 hour run-time. Remember, if you want to read a 173 page script from 1996 that reboots a property from the 70s by stringing together every ... See More cliché on Earth, you can download it at www.TableReadsPodcast.com!